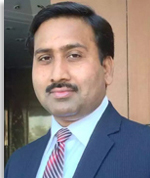 Mr. Shahid Parvez joined the Department of Space Science, University of the Punjab as Assistant Professor in 2011. He has been teaching various modules of Fundamental, Applied & Advanced Remote Sensing (RS) & Photogrammetry (Optical, Microwave, LIDAR), Image Processing, GIS and applications to B.S (Honors), M.Sc and M.Phil programs and conducting/supervising research. His major research interests are primarily in the fields of RS and GIS pertaining to their applications in the Earth’s Natural Resources and Environmental monitoring, mapping and modelling viz-a-viz Landuse/Landcover, Glaciology, Bio-mass, Soil/Desertification, Eco-systems, Natural Hazards, Archaeology/Tourism, and Urban Planning. He done his B.Sc & M.Sc in Space Science from this department and MS in Photogrammetry & Geoinformatics from the Stuttgart University of Applied Sciences, Germany. He is co-author of a book-chapter titled “Delineating Legal Forest Boundaries to Combat Illegal Forest Encroachments: A case study in Murree Forest Division, Pakistan” published by the Springer in 2014. He has presented/published 17 presentations/research papers in national and international conferences/journals. He is a member of: Board of Faculty of Science, Admission Committee, and Purchase Committee of this department. He has contributed in developing national curriculum of HEC as well as of this department for the subjects of RS, GIS and Space Science for B.S (Honors), M.Sc and M.Phil programs. Earlier, he worked at SUPARCO (Pakistan Space Agency) Headquarters, Karachi as Manager(RS&GIS) and Assistant Manager(RS&GIS) from 1999 to 2011. During this job, more than 15 RS&GIS projects are on his credit as Project Manager.